. : The o'l run around. 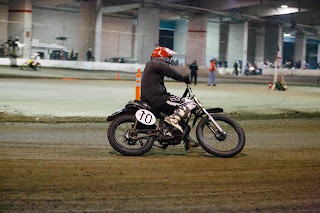 Flat track'n happened again this last saturday. Tim Webb's motivation on long rides. Here's me waaayy out front, or.. was it way behind. Me doing some pre race stretches, getting loose. 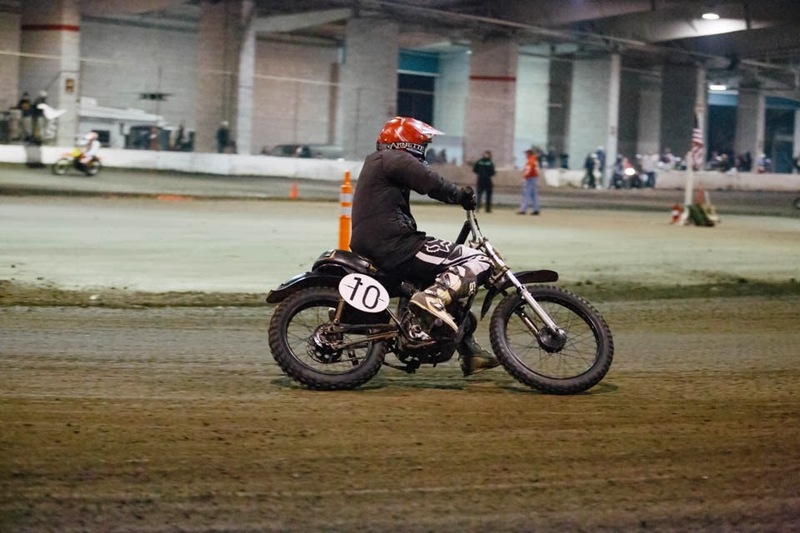 Travis "the champ" Gardner wins twice at the Salem fairgrounds, he's unstoppable.